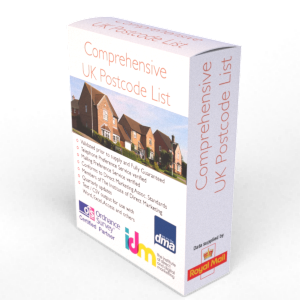 The very latest list of Hospitals in UK that can be used for direct marketing including direct mail and telesales. Prior to supply, the list of Hospitals in UK will be screened against the very latest Mailing & Telephone preference files as well as our own 'do not contact' file. This leaves you with a list of every Hospital in the land! A hospital is a health care institution providing patient treatment by specialized staff and equipment. Hospitals in UK are funded by the public sector, by health organisations, health insurance companies or charities. Hospitals in UK are largely staffed by professional physicians, surgeons and nurses. All of the records we supply will have been telephone verified to confirm the details we release to you. This ensures the information is current and that the hospitals on the list are all still trading. The data can be released in any format you like. The list of Hospitals in UK can be downloaded from our site and emailed (a link will be sent to you as soon as your payment clears, often within seconds). Rather than take the entire list of Hospitals in UK (there are over 1,500 hospitals in the UK) you can select the Hospitals in UK that operate from a specific area such as a Postcode or County. In addition you can request certain employee sizes or turnovers. There are an additional 250 or so fields to use when refining the list you require. We've listed what we believe to be the most appropriate related business types to Hospitals in UK. If you find that your business category isn't listed then please let us know as it's likely that we hold the list you want on our database - we've over 2,700 other business types! Don't worry, if you don't have the time or can't see what you need then let our team do the work for you - for FREE. We have thousands of other business types and list sources and over 40 years experience so why not simply tell us what you're looking for?